Located in An Fuaran, Moycullen, An Siopa Troscán stocks everything from bigger pieces such as three piece suites, beds, and sideboards, to smaller items such as lockers, pictures, lamps and mirrors. The store has developed a reputation for providing quality pieces at affordable prices. The main ethos behind this store is to support as many Irish manufacturers as possible and therefore secure Irish jobs. Sofas and three piece sitting room suites are made by Co Monaghan-based upholsterer Martin McKenna. These stylish suites have an internal beech frame, meaning they are extremely durable and will last for decades. All suites are made to order and any different specifications can be catered for. So while there is a standard size, each item can be individually customised to order. There is a huge range of colours and fabrics available to choose from to suit any decor scheme. The suites can be delivered free of charge, less than two weeks after they are initially ordered. 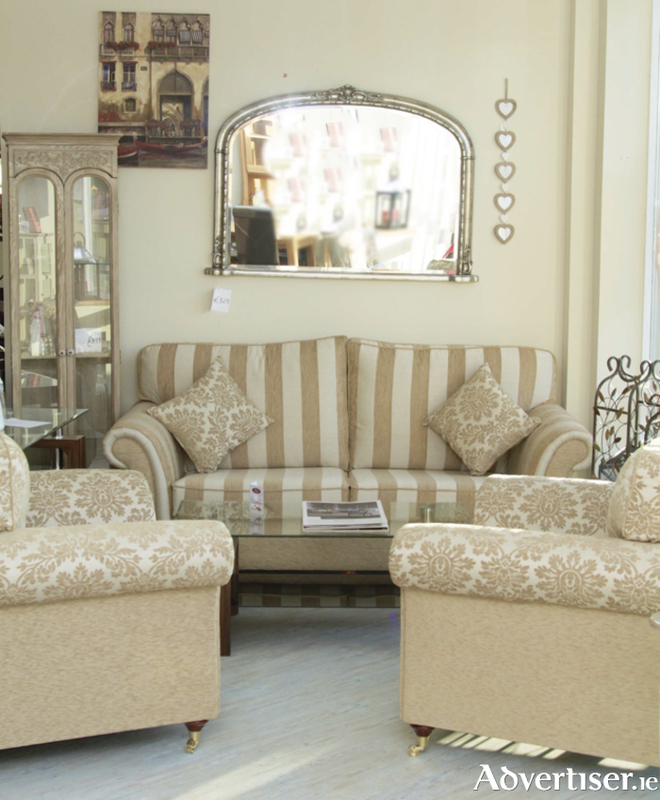 Pictured is the Saoirse three piece suite, available in any colour, was €2,499, now available for just €1,969. For more information call 091 868 992, log on to www.siopatroscan.ie, or follow the store on Facebook for the latest offers which include 20 per cent off Irish made Respa mattresses.